There’s good news and bad news in the Trump administration’s plan to establish the Space Force as the sixth branch of the U.S. military. The good news is that sales of formerly-ironic “space shuttle door gunner” patches are probably going to spike. The bad news is that the creation of a new military branch carries far more risks, costs and complications than benefits. The value of the Space Force should be judged against the kinds of threats that it is intended to counter. A substantial increase in threat could warrant the drastic step of creating a new military branch, but space is not as dangerous as Trump and his senior officials are making it out to be. Competition with Russia and China is a consistent theme of the administration’s major national security documents. Senior officials frequently cite the activities of these countries in outer space, such as China’s use of a missile to destroy one of its own satellites in 2007. American officials are especially worried about how much the military and major civilian economic sectors depend on satellites that are vulnerable to disruption or destruction. The Trump administration has hyped the threats while ignoring factors that would likely restrain Russian and Chinese behavior in space. The most aggressive option available to Russia and China would be the destruction of U.S. satellites. The primary risk of such an attack would be the debris created by it that could inflict collateral damage on Russia or Chinese satellites. In fact, China’s growing military ambitions increase its vulnerability to space debris because it must place more satellites in orbit to facilitate military operations farther from its shores. Less destructive actions such as jamming or temporarily disabling U.S. satellites would carry lower risks, but it would also be easier for the United States to recover from such actions. Another mark against the Trump administration’s plan for the Space Force is the difficulty of creating a new branch of the military. The costs of adding a sixth branch would come on two fronts. First and most obvious to taxpayers is the price tag. The Space Force could cannibalize existing facilities and officers to hasten this process, but that would probably not go over well with other branches. The second basket of costs associated with establishing a new military branch is bureaucratic. Trump cannot create a new branch of the military without congressional approval. Legislation to create a Space Corps within the U.S. Air Force passed the House in 2017 but failed to get through to Senate and was resisted by several high-ranking officials at the time, including the secretary of defense and the commander of Air Force Space Command. Moreover, even if the administration could secure congressional approval, it would likely face additional bureaucratic battles within the military. A new branch of the military needs its own people and infrastructure. The Space Force could take these resources from the Air Force, the current branch with primary responsibility for space operations, which would not be a welcome development for the latter. Given the history of inter-service squabbling, the transition period could be quite arduous. Creating a Space Force as a separate branch of the U.S. military is not a wise decision. It is an overreaction to the threats facing the United States, and its costs outweigh its dubious benefits. Instead of sticking to the current plan, which promises to generate more sensational headlines than sensible policy initiatives, the administration should focus its efforts on improving existing military organizations that handle space. One path forward would be to emulate Cyber Command, which is not a separate branch of the military but a unified command. Instead of being its own branch, Cyber Command incorporates cyber-focused units from across all the branches of the military. Creating a unified command for space would help the military focus its resources and push for more investment in new capabilities without creating the economic and bureaucratic headaches. 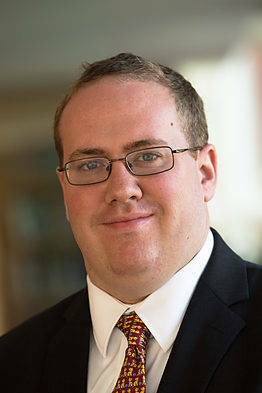 Eric Gomez is a policy analyst for defense and foreign policy studies at the Cato Institute. He wrote this for InsideSources.com. Sarah Linnstaedt receives funding from the National Institute of Arthritis, Musculoskeletal, and Skin Diseases (K01AR071504), the Mayday Fund and previously received funding from the American Pain Society (Future Leaders in Pain Grant). None of the above funding agencies had any role in the design and conduct of the study, in the collection, management, analysis and interpretation of the data, or in the preparation and review of the above article. Chronic pain? Isn’t pain caused by nerve injury? Well, not always. Chronic pain can develop and is quite common following trauma exposure. This fact might surprise you given the fact that many traumas involve very little or no tissue damage. Before I go into details about our most recent study, let’s brainstorm how chronic pain might develop following trauma. This is an important question because if we know how pain develops, we can find treatments that prevent its onset. And by preventing the onset of chronic pain, we completely alleviate the need to use those addictive and potentially deadly opioids you might have heard about. Cortisol is a critical link between trauma and chronic pain. This is because cortisol and another stress hormone called adrenaline have been shown to directly sensitize peripheral nerves – giving it the ability to signal pain in the absence of nerve injury. For this reason, it is vital for our bodies to carefully regulate cortisol levels, and to quickly and effectively resolve the stress response. If FKBP5 levels are high, it sequesters the GR and prevents the GR from binding and lowering blood cortisol levels. Consequently, levels of cortisol in the blood can rise and potentially cause harm by binding nerve endings and causing pain sensations. Previous studies have shown that a person’s genes can influence relative levels of these proteins. This last point can help us in our quest to discover specific types of therapeutics because, for instance, if we didn’t want to try to target FKBP5 directly, we could mimic the action of this naturally occurring regulatory mechanism. Additionally, our work suggests that with such a potential therapeutic, we’d only need to treat individuals with the DNA variant that causes more pain. Exposure to traumatic events as a child is the one factor you ignored, but it clearly has the most explanatory power. Genes explain very little about human behavior compared to psychology. Early life experience explains everything. Someone who has been sitting on a trauma since childhood is going to be vulnerable in the event of another. All traumas in childhood are perceived as life or death events, that’s by definition alone. So sufferers already carry a burden of pain which has the highest valance possible. Anything on top of that is going to quickly overwhelm the system. The emotional pain becomes physical because it can no longer be held in check. What you are finding is merely tell tale evidence, the mechanisms which are called into play by psychology. But that is not the same as understanding the problem. These mechanisms are not faulty. They are doing their job. Messing with them with drugs is not going to fix the problem. COLUMBUS, Ohio – Fathers play a key role in helping their young daughters overcome loneliness, a new study has found. “The bond between fathers and daughters is very important,” said Xin Feng, co-author of the study and associate professor of human sciences at The Ohio State University. Results showed that levels of closeness tended to decline over this time period, while conflict increased. That’s not surprising, said Julia Yan, lead author of the study and a doctoral student in human sciences at Ohio State. “This is a time when children are becoming more independent, developing relationships with friends and spending more time outside the home,” Yan said. But the study showed that kids didn’t shed their loneliness at the same rate. Daughters did better when they had closer relationships with their fathers. Relationship closeness did not have an effect on loneliness in boys. The study can’t show why, but Yan said it may be because parents don’t socialize boys to have particularly close relationships and put less emphasis on them maintaining close ties. Mothers’ relationships didn’t have an effect in this study, but that doesn’t mean they aren’t important, Yan said. One reason for the lack of impact among mothers in this research was that mothers nearly always had close relationships with their kids, so there was less difference to measure. One reason may be that most families didn’t have high levels of conflict.